What products do you have at home anytime? My answer will be eggs, butter and milk. I also have flour and sugar in my cupboard. It turns out that I always have crumble in my kitchen! Flour, butter, sugar and berries are all we need for it! 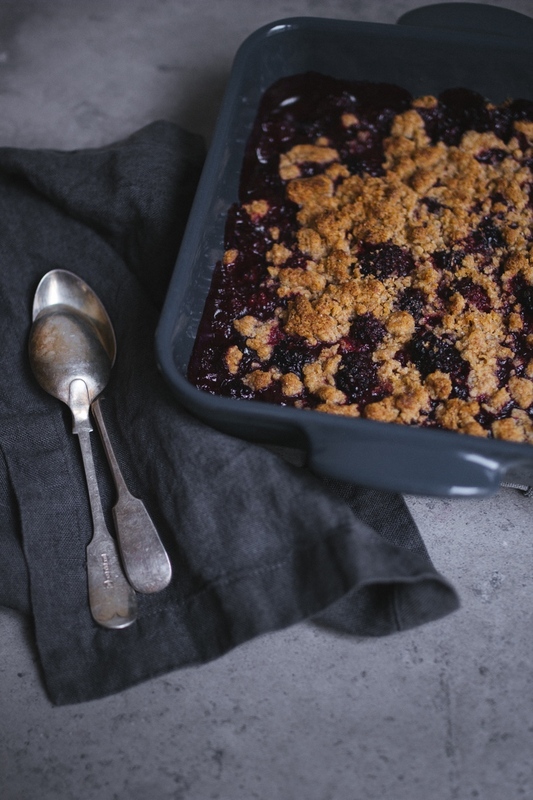 Crumble is a traditional British baked dessert, which consists of berries or fruits and shortbread crust. Today I want to share my simplest sweet recipe. One thing I’ve changed, I’ve replaced all-purpose flour on whole-grain and I have got an amazing result! You can see it yourselves. My favourite season has begun and I’m absolutely happy just thinking about how many pies, crumbles and other fruity things I’ll make! To be honest I ate a lot of sweets in my childhood and didn’t like fruits and berries as much as chocolate. Why should I change my chocolate for some strawberries? I confess to have sweet tooth, but now I realise how to make the best sweet things from berries or fruits. And they’re more delicious and healthy of course. 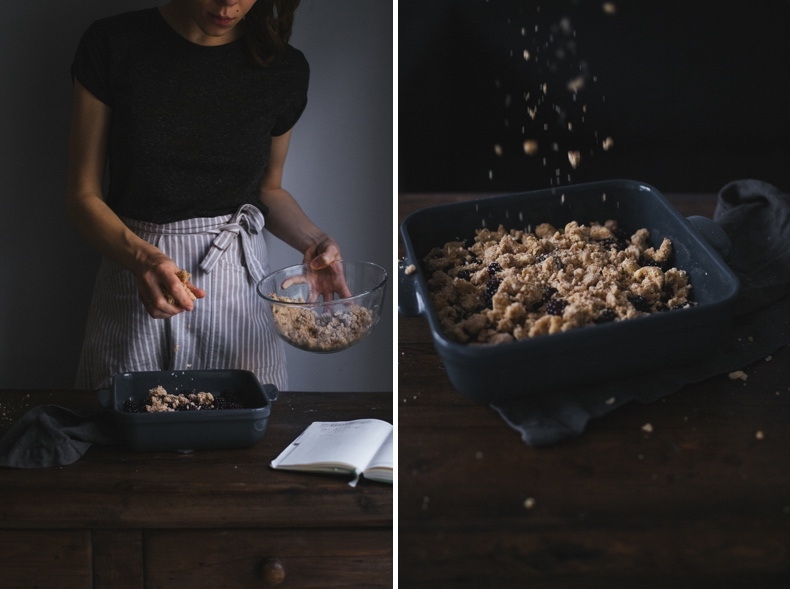 Crumbles are one of them. There are few blackberry bushes in my parents cottage and I always use my chance to pick fresh berries when I visit my mum and dad. 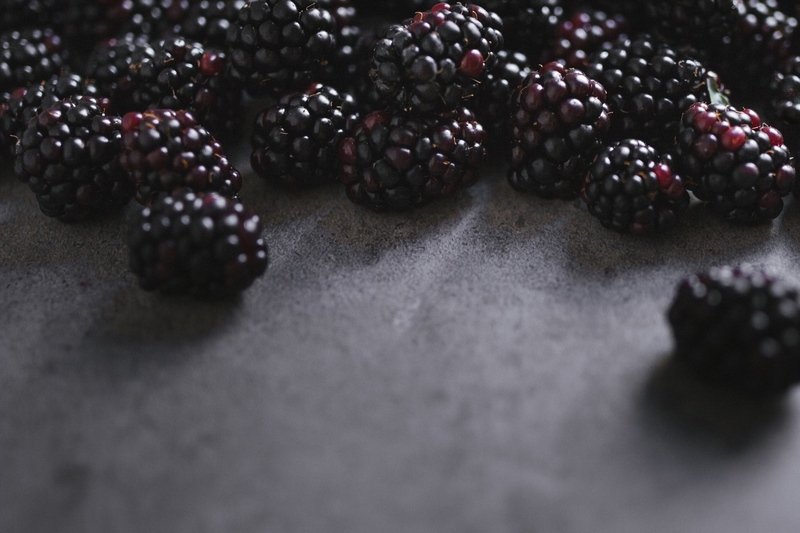 I like these kind of berries because they smell very delicious when baked and have a very delicate sour taste which is so really good in sweet crusted pies and crumbles! I like it! 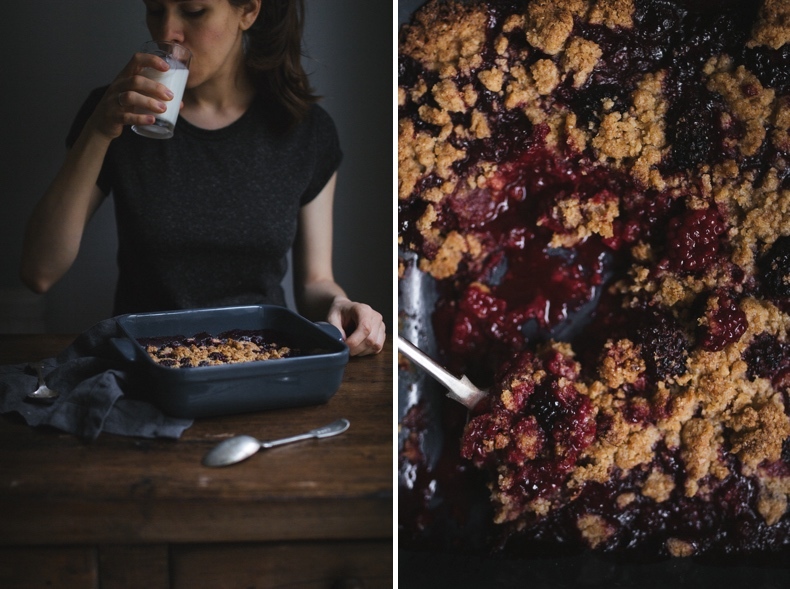 You can also make you crumble from any berries or maybe savoury one from veggies or meat (I have a savoury crumble recipe here in my blog with pumpkin and chorizo). I don’t really know what crumbles I like more – sweet or savoury. 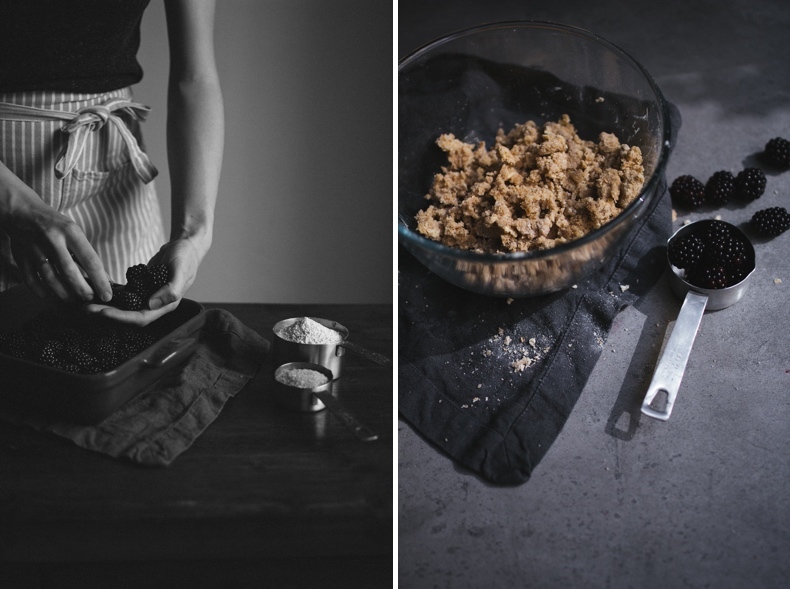 But yesterday was a cloudy day in London and I’ve decided to make a sweet blackberry crumble. It as I already told is my easiest and laziest two steps recipe. If you have 30 minutes free you must try it. Step one: mix flour, butter and sugar. Step two: buy your favourites berries. – You can use any berries, fruits or both. Rhubarb and strawberries, pears and blueberries, apples with cinnamon. It’s always fun! – I don’t like very sweetened crumbles, but you can add a little more sugar if you like. 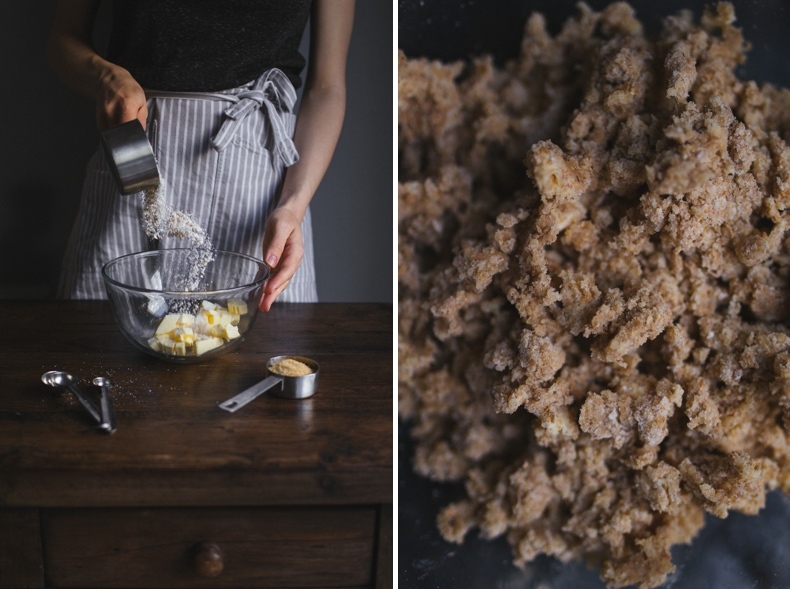 – My secret of the best crusty and golden crumble topping is 1:1 flour to butter ratio. Always keep this rule for the amazing result! 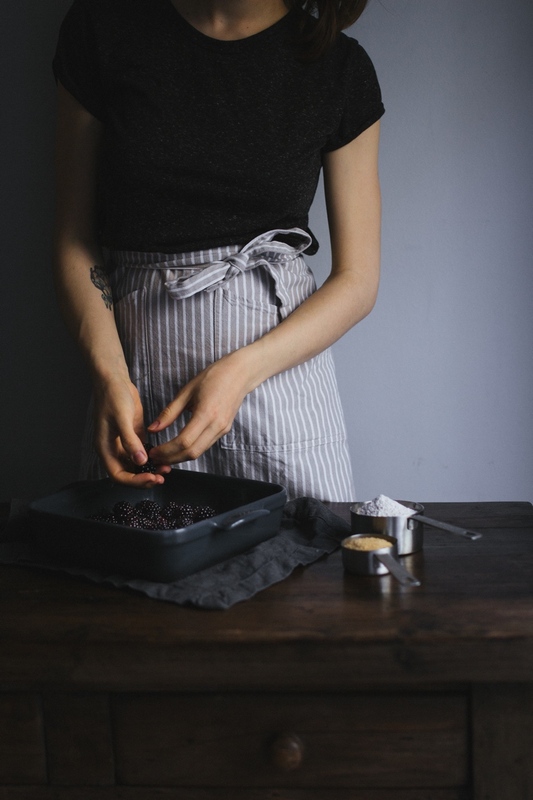 – Don’t flat crumble topping when you place it on the berries. Just sprinkle over, it be more crusty. Mix flour, sugar and salt in the bowl. 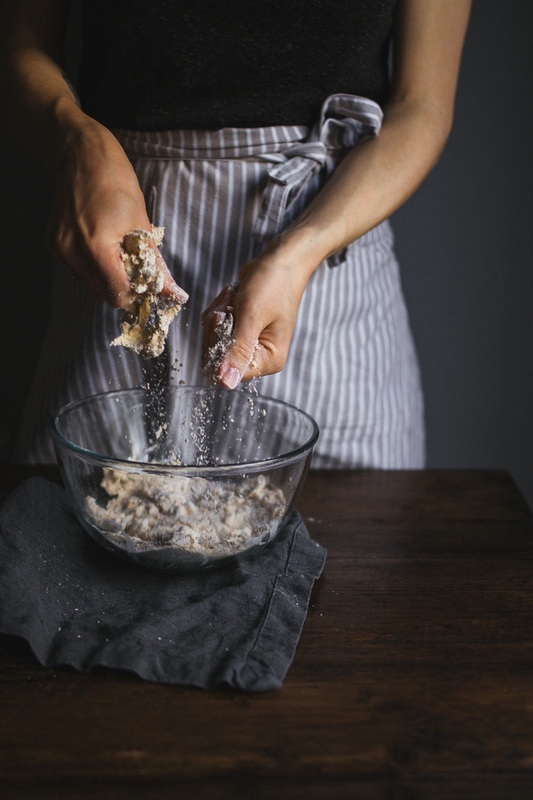 Cut the butter into small pieces and rub into the flour using your fingertips to make a light breadcrumb texture. 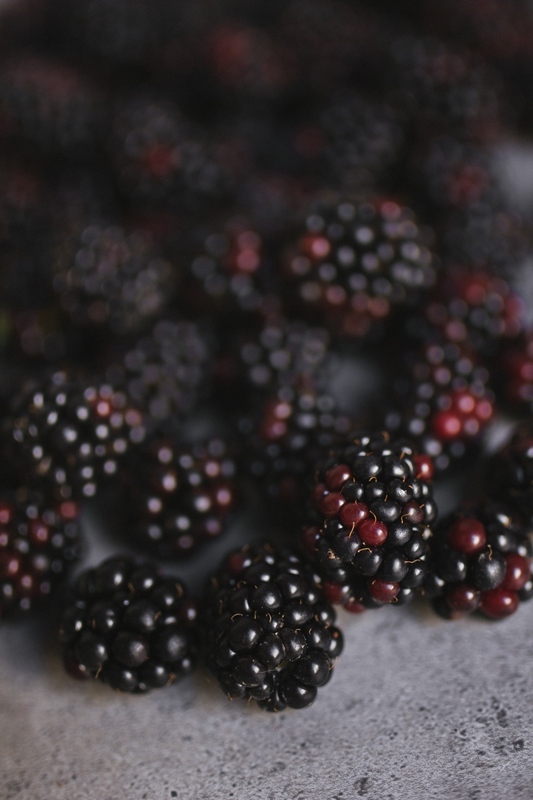 Wash and dry blackberries. Place them in the baking pan. 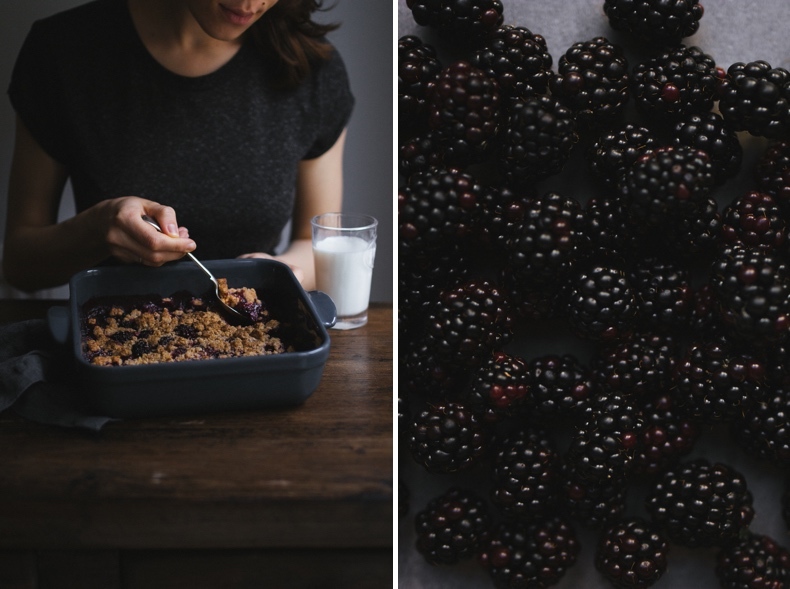 Sprinkle over the berries with crumble topping and bake in the oven until the crumble is golden-brown and berries filling is bubbling. Serve warm with the scoop of vanilla ice-cream or cream fraiche.